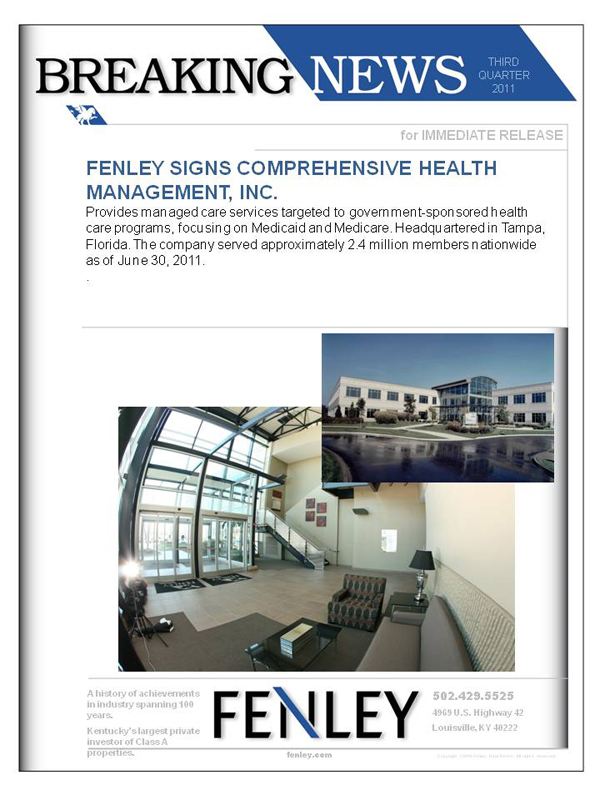 Fenley signs Comprehensive Health Management, Inc. 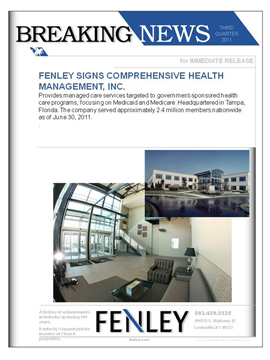 Provides managed care services targeted to government-sponsored health care programs, focusing on Medicaid and Medicare. Headquartered in Tampa, Florida. The company served approximately 2.4 million members nationwide as of June 30, 2011.